Karma is a third year Ph.D. student in Social Work at Wilfrid Laurier University. Her area of research is relational ethics and professional practice. She is also a Registered Social Worker and a Registered Marriage and Family Therapist with the Ontario branch of the American Association for Marriage and Family Therapy. She has provided psychotherapy for over 15 years in a wide range of practice areas including childhood sexual abuse, eating disorders, child and adult mental health, and relationships. 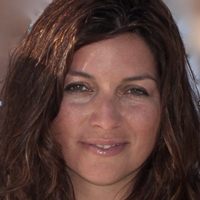 She currently provides psychotherapy to children, adolescents, couples, and families at an outpatient mental health clinic for children and families at a teaching hospital in Newmarket, Ontario, Canada. She also sees adults, adolescents, and children in her private practice in Bolton, Ontario. She has held a variety of education, supervision, consultation, and research positions. Susan is a doctoral candidate at Carleton University completing a study of representations of First Nations peoples at the Calgary Stampede. 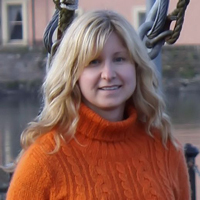 Currently she works as an Instructional Developer and part-time Instructor at Saint Mary’s University, and has taught part-time at Carleton University, Mount Saint Vincent University, and the Nova Scotia College of Art and Design (NSCAD). Cindy Knapton, MSW (Leadership), BSW, HUSV, BA, has worked in clinical settings specializing in violence against women, specifically intimate partner violence and adult survivors of sexual violence. She has also worked in women’s homelessness and mental health. She contributes to community education and has been a guest speaker for Dalhousie Medical School students on partner violence. She has worked at the University of Calgary as a teaching assistant in violence across the lifespan and research assistant in homelessness. 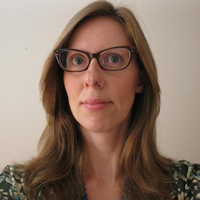 She currently works as a research assistant at Dalhousie University on Ethics in Social Work Practice. She is the 2011/12 recipient of the CIHR Health Professional Student Research Award. She is an advocate for women’s and human rights and she is passionate about social justice. 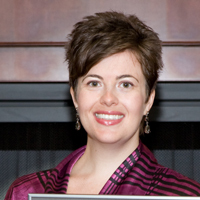 She has presented her work at numerous conferences, including: the National Summit on Interpersonal Violence and Abuse Across the Lifespan in Dallas, Texas (February 2010), Canadian Association of Social Work Education in Montreal, Quebec (May/June 2010), and Pathways to Resilience II in Halifax, Nova Scotia (June 2010). She has first-authored the chapter “Violence in the Lives of Homeless Women: Implications for Shelter Design” in the text book Violence and Abuse in Society [4 Volumes]: Understanding a Global Crisis (2012). Kathy joined the Ethics in Social Work project in July 2011 as Project Coordinator bringing almost 8 years of experience in research administration. A lot of her past work focused on women’s health with a critical theoretical lens. In 2008, when she graduated with an M.A in Family Studies and Gerontology from Mount Saint Vincent University, she won the Thesis Award for her thesis titled “Tinker, Tailor! Soldier, Sailor! Mother?” in which she used Institutional Ethnography to examine tensions between the institutions of motherhood and the military for women in the Canadian Forces who were deployed while they were parents of young children. Kathy particularly enjoys project coordination because it makes use of her organizational skills and is never boring. Her leisure activities include traveling, cooking, reading, and family in various configurations. As a registered social worker, Michelle has clinical experience working with individuals, families, and groups in both hospital and community healthcare settings. She is currently a third year PhD student in the Faculty of Social Work at Wilfrid Laurier University in Kitchener, Ontario. Her areas of interest include ethics, chronic illness, gender, and primary healthcare. For her dissertation study, she plans to explore the health care experiences of men and women who have a diagnosis of fibromyalgia, a chronic and contested illness. The idea for this dissertation research emerged through clinical practice coordinating health care services for female clients who had fibromyalgia. In addition to her role as a Research Assistant on this project, she is a Teaching Assistant for a PhD level Multivariate Statistics course. Furthermore, she recently completed a Fellowship in Interdisciplinary Primary Health Care Research through the Canadian Institutes of Health Research (CIHR) Strategic Training Program – Transdisciplinary Understanding and Training on Research – Primary Health Care (TUTOR-PHC). She is also a Volunteer Student Representative on the PhD Admissions, Curriculum and Student Affairs Committee in the Faculty of Social Work at Wilfrid Laurier University. She is a current recipient of an Ontario Graduate Scholarship and a previous recipient of the Hilary M. Weston Scholarship. Brenda Beagan, BA (Dal), PhD (UBC) is an Associate Professor in the School of Occupational Therapy and a Canada Research Chair, Women’s Health at Dalhousie University. She studies how social inequities influence everyday occupations such as food practices, activities of daily living, health care experiences, and health professional education and practice. Wanda Thomas Bernard has been a professor at the Dalhousie School of Social Work since 1990, where she held the position of Director from 2001- 2011. She is currently on leave, focusing on her research, including co-investigator on the Ethics in Social Work Practice with Dr.Weinberg, and more actively engaged in community work. Her research with Black men and the violence of racism, particularly in the criminal justice system, has had significant impact on not only academic work but also agency and community-based practice. 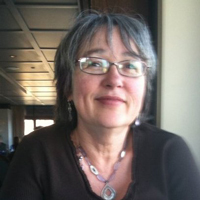 She was Team Leader for the Racism, Violence and Health study, funded by CIHR 2002- 2008. She has received numerous awards and honors for her trendsetting work, most notably, her appointment to the Order of Canada in 2005 for her work on racism. Wanda is a founding member, and past president of the Association of Black Social Workers. Marshall Fine is a professor in the Faculty of Social Work at Wilfrid Laurier University. As the Ontario member of the research team he was very active in overseeing the conducting of the research in the province including conducting many of the interviews and focus groups.